Discussion by daffodil hybridzers around the world, about daffodil fertility and breeding programs accompanied with many photos of seedlings. ..this is not as intensely coloured as its grandparent but just measures div. 3. 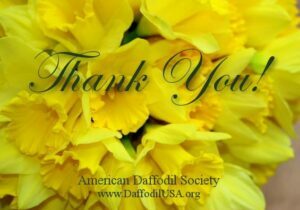 Great thanks to everyone sending pictures of your daffodil shows, they are much appreciated!